It impacts my teaching because it affirms my beliefs that my role as a teacher is to provide opportunities for accessible learning. I think this attitude is important especially for the students living in the margins because they may have experienced a loss of culture and thereby a loss of power. Someone in class said that as a teacher, we should not say statements outwardly supporting trans students, because we might also offend those who are Christians. I am tired of hearing that my advocacy for the oppressed ought to be silenced for the fragility of those in power. Too long have we taught the history and culture of the privileged and we ought to strive towards understanding the cultures we do not see, or perhaps, we are blinded from seeing.I think we must understand culture for ourselves, so that in knowing ourselves, we can see how our lives are not always by choice, but by the influences that others have had on our lives, both personally and institutionally. I think understanding ourselves brings empowerment, and I hope that by providing a space for students to explore their own stories, they can come to be respectful not only of each other, but of themselves. Pick three terms that resonate with you from the Multicultural Education word wall. Define the terms and discuss why you chose these three terms.Tolerance vs Transformation. I really enjoyed this term that was put on the word wall, because I think it challenges people to critically examine their own use of vocabulary. Tolerance is a word that is often used in cases of cultural training/education (I mean, there is even a book called “teaching tolerance”), and its intentions may be benign, but its impact is not. Our differences should not be tolerated, but celebrated, and engaged in. Tolerance gives the option for those in power to disengage, a privilege which people in power always have had. Transformation on the other hand, provides opportunities for continuous learning and for Metanoia. 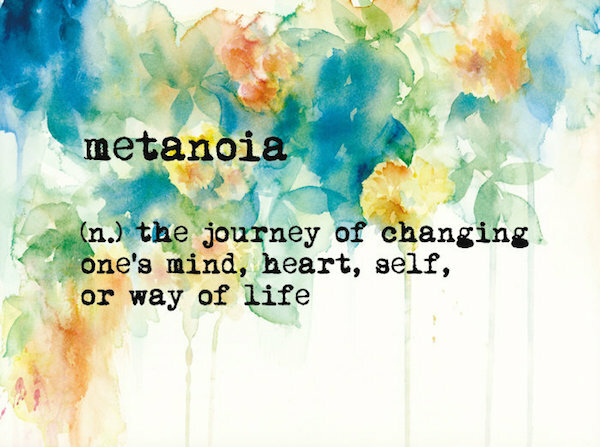 Metanoia is a change of heart, and not just a developed skill-set to ignore differences. I think that recognizing the difference between Tolerance and Transformation is crucial in understanding ourselves and where our goal as teachers may lie. To be honest, in the past few weeks, I have struggled emotionally. The discussions that we have had were triggering, and some of the comments made were cringe-worthy for me. Everyday seems like a fight in various ways, to have to justify my experiences and to defend my understanding of racism as a person-of-color. That fight is not going to stop when I enter the school. I do not think Angie taught us with the expectation that our co-workers or our administrators will be on the same page about anti-racist education. That is why this word is so important, because in order for positive change to occur, to break through the school-to-prison pipeline, systems must be challenged. A revolution must take place, advocated by teachers, students, parents, community-members, lawmakers, etc… I grow more and more impatient everyday with systems that actively benefits some but disadvantages many, but I brew this frustration into a revolutionary movement that is working towards disrupting oppression in the education system. The last word I chose was hope. Hope is a beautiful word for me, and a word that resonates with me. Through my anger and frustration and my trauma, I challenge myself to find healing, and my hopes have always kept me pushing forward. One of the hardest things to witness in classrooms is self-abuse, whether it manifest physically or emotionally. How do we as teachers help create a space in which a student may develop a sense of hope for their future? How can students bring themselves to hope for goodness, and not expect for results? I hope that my experiences as a student teacher will help me explore some of the answers that I am looking for. 1. Block the clock. Especially at Thunder Mountain where there is a class bell, and even if not, I think that our western perspective on time can be very detrimental to active learning. Discussions happen organically, and learning takes place at different speeds for every student. I think that if we compare ourselves and our work to a clock on the wall, it may result in lower self-esteem. I want to see if there may be a different strategy to approach time-keeping. 3. If I become a teacher, the first thing I want to do is disassemble everything (boards, posters, chairs, tables) and explain to the students on the first day of school that I want the classroom to be arranged in the way that we, as teacher and students, would find most engaging for our learning. Allowing students to have ownership over the space can provide for safety, empowerment, and mutual respect. 4. Use of Elders. I think that it is crucial to allow Elders to share their experiences and see how they may have helped pave the road towards justice for future generations.